Erb Equipment Company recently announced that it has taken on the Terex/Fuchs line of material handlers. Erb Equipment Company recently announced that it has taken on the Terex/Fuchs line of material handlers. The unique design features of the material handlers make the machines veritable all-rounders in materials handling. 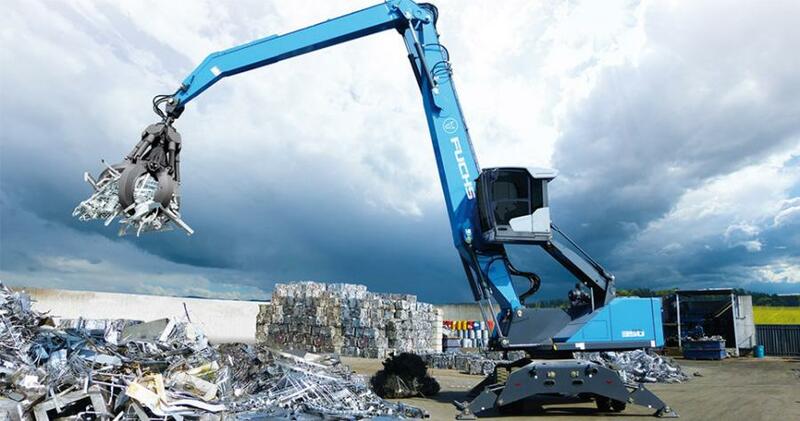 Whether in the scrap yard, at recycling sites, in the sawmill industry or in port handling, Terex/Fuchs machines boast productivity and cost-efficiency. In 1943, Alvin Erb founded Erb Equipment Company in the midst of WWII. Raised on a farm in Illinois, Erb saw an opportunity to help Missouri and Illinois farmers obtain tractors to sustain their livelihoods. Today, the company's appetite for growth remains a driving force. Operating out of its headquarters facility in Fenton, Mo., and seven other branch locations, Erb Equipment Company serves its customers equipment needs with a variety of new and used equipment. The company represents several manufacturers, including John Deere, NPK, Genesis, Bomag, and now, Terex/Fuchs. For more information on the Terex/Fuchs line or any of Erb Equipment Company's other offerings, visit www.erbequipment.com.